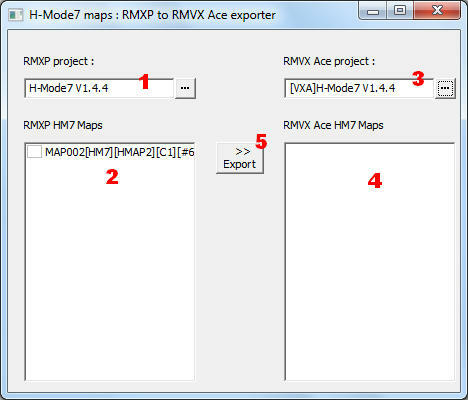 This system allows you to import H-Mode7 maps created with RMXP directly in a RMVX Ace project. Normally, RMVX Ace runs at 60 FPS. That means potentially more lag. If you experience lag, try and unckeck the "Reduce screen flickering" flag (F1). This may help. The script is only available by downloading the demo (as it requires a DLL and an executable). Only the three layers and the tileset will be imported from RMXP. Events and maps properties shall be set in RMVX Ace. To begin with, you must have a RMXP project with H-Mode7 maps (events are useless here). You must also have a RMVX Ace project that includes the H-Mode7 scripts for VXA + the DLL (see demo). - if the map name strictly matches an existing RMVXA map name, then the map is updated (only the layers, it doesn't erase your events). 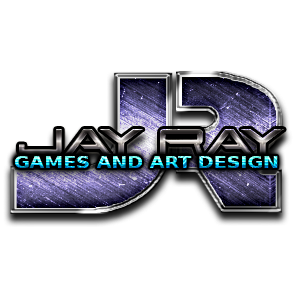 - if not, a new RMVXA map with the exported map name is created : you will have a new MapXXX.rvdata2 file in your Data folder, plus a MapXXX_HM7.rvdata2 file. 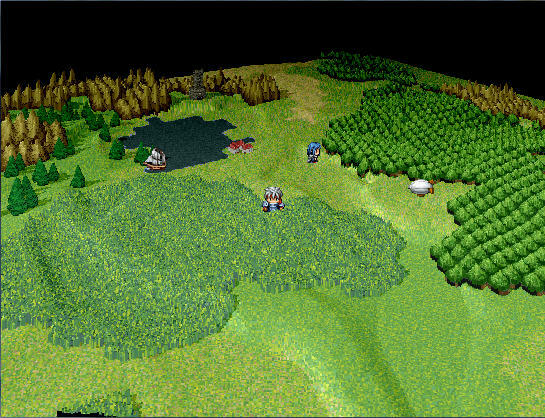 The MapInfos.rvdata2 file is also updated. - a picture of the map is created and copied to the "HM7_Maps" folder at the root of your project. Imported HM7 maps in RMVXA are displayed in the editor as empty. To help you placing events, you can use the pictures located in the "HM7_Maps" folder as parallaxes in the editor (that's their purpose). You should remove these pictures when your map is finished, because they may be big and they are completely useless for the script. 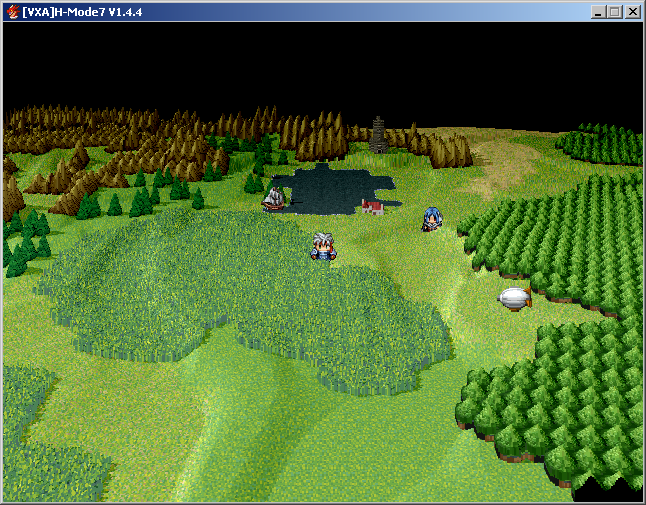 Passabilities must be set in the RMXP editor, using the "Passage (4 Dir)" option in the tilesets settings. These 3 terrain tags are used to handle vehicles passabilities. They must be sent in the RMXP editor. For the map in the demo, I set the terrain tag value of the water tile to 1, so even if it's normally impassable, a ship can move on this tile. I also set the trees and houses tiles to 3, so the airship cannot land (but the player can still walk on those tiles). See you soon on Funkywork? can you help me please? i really like to work with vx ace :D thanks! @mekrod - You have to manually change the panorama.z - However, remember that the panorama.z won't be Mode 7, it will be a flat background, like a sky or horizon. So you will also have to edit the panorama to not scroll - panorama.ox when a person goes left or right, but just when their theta is less or more for the skybox experience. I always don't like a RMVXACE resolution so I made a 640x480 version of this engine to RMVXACE. And I have 1 problem - why a "pivot" (set, to and increase) not work in this version? Maybe someone can repair this, I tried but lost.